Shrouded in the mists of time there is uncertainty about the true History of April Fool’s Day. 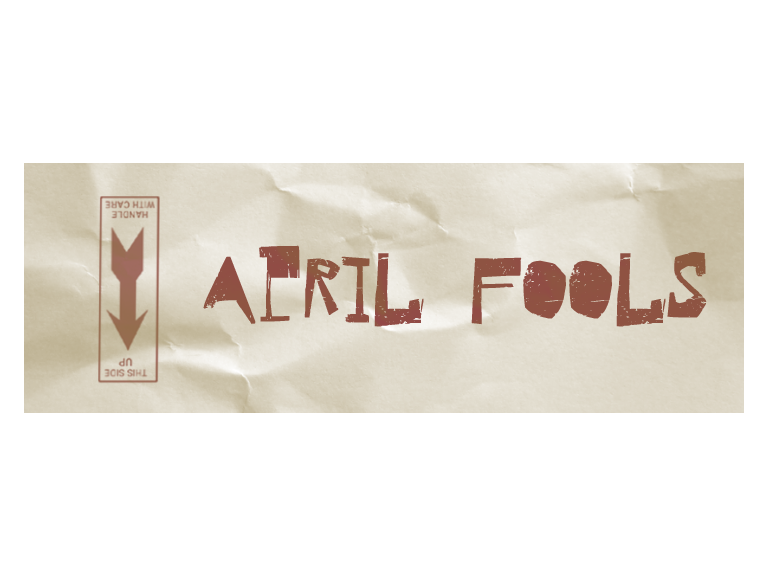 There is a basis for belief in that April Fool’s Day, or All Fools Day, probably originated in the 16th Century with reform of the calendar during the reign of Charles IX (of France). The calendar reform moved New Year’s day to January 1st from April 1st, March 25th to April 1st was known as New Year’s Week. Because in Old England (Scotland, Wales and Ireland) information took years to travel throughout the realm there was uncertainty, and even denial by some, who continued to Celebrate New Year’s Day on 1st April. Consequently, those people were treated with derision and were sent on fool’s errands to perform nonexistent tasks and other practical jokes were performed on them. The victims of these jolly japes became known as “Poisson d’avril”, April Fish because they were tricked with a paper fish that was attached to the back of the unwary victim and thus the April Fish was born. The custom of playing practical jokes continued on the 1st April, spreading throughout Great Britain and reached the Americas and the British Colonies carried by expats. Throughout England April fool's japes are carried out during the morning of 1st April and it is still seen as bad form to continue the pranks into the afternoon. Practical jokes have taken on a hilarious tone in recent years with such august bodies as the BBC joining in the fun. 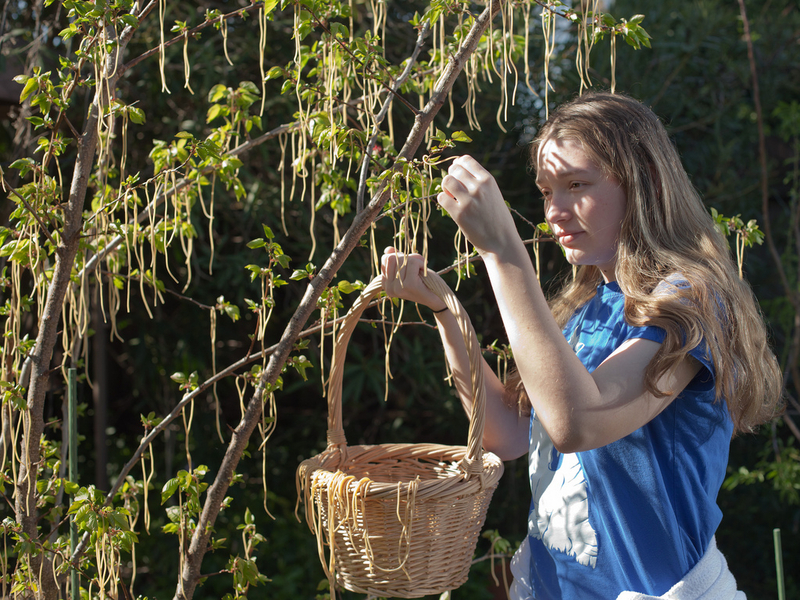 In 19 57, the BBC pulled off a famous April Fools hoax by showing Swiss Farmers harvesting spaghetti from ‘spaghetti trees’. Shown on black and white television with farm workers removing spaghetti from branches heavy with an abundant crop of spaghetti. The prank even fooled BBC staff, including the Corporation's then- Director Ian Jacobs, who later confessed to looking up 'spaghetti' in his encyclopedia. The programme was Panorama, and the arch jester was Richard Dimbleby no less, the voice of the BBC for many years and someone utterly believable. 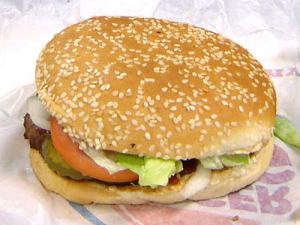 In 1998 Burger King launched a marketing campaign for its 'Left­handed whopper' on April 1st. A press release sent out at the time estimated that nearly 11 million left- handed customers visited the fast food outlet in the UK each year. A spokesperson from the Left Handed Club was quoted as saying: "We are delighted that Burger King has recognised the difficulties of holding a hamburger in your left hand that has a natural right bias to it. We urge all left handed hamburger lovers to visit their nearest Burger King and taste the difference for themselves." In Scotland, April Fool's Day is devoted to spoofs involving the buttocks and as such is called Taily Day. The butts of these jokes are known as April 'Gowk', another name for cuckoo bird. The origins of the "Kick Me" sign can be traced back to the Scots.